Annotation: Roland and his band have narrowly escaped the city of Lud and boarded Blaine, a train that will take them to, of all places, Kansas, where the ghost city of Topeka has been depopulated by a superflu and where, alongside Interstate 70, an emerald palace rises enchantingly. Before Roland and the companions of his ka-tet continue along the Path of the Bean, Roland must tell his companions the tale that defines him both as a man and hero, a long-ago romance of witchery and evil, of the beautiful, unforgettable Susan Delgado, of the Big Coffin Hunters and Reah of the Coos. 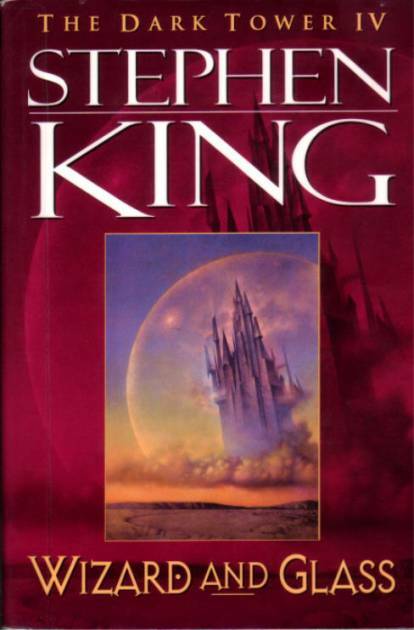 And when his tale is finished, Roland confronts a man who goes by many names, a man who 'darkles and tincts' and who holds perhaps the key to the Dark Tower. "Love, o love, o careless love. Can	you see what careless love has done?" I may not see you. Twould not be proper.